This week was a big one and it was all about Mixing Low End… more specifically mixing Kick and Bass. We did 2 LIVE Q&A’s, mixing kick and bass in hiphop and showed you some low end mixing tricks from Ulrich Wild, Cameron Webb and myself! There were a ton of great questions, some of which I couldn’t get to during the live Q&A’s. 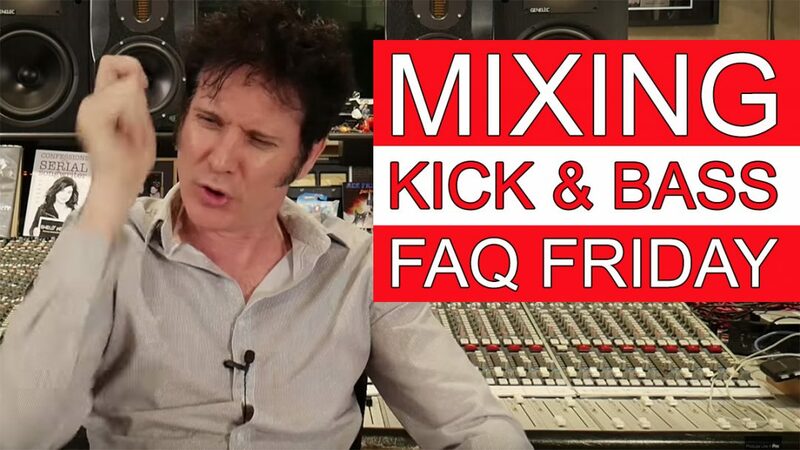 Today’s video is a roundup of all of your questions about low end, kick drum and bass guitar. • I’m a bit confused on what L2’s and L1’s actually are… are they levelling compressors? I’m always hesitant to use them because I don’t quite understand them. • With regards to virtual drummers in DAW’s should you still go through and eq drums? • Does the tone of the bass and kick have any relation to where you’ll eq to HP or LP or cut or is it basically in the same area no matter what? • So, when’s that video coming out with your favorite uses for Waves MV2? • You mentioned that the Black Album kick sample is in the produce like a pro drum samples from your website. Which one is it?? PR Kick? I wanna kick? • What is the most ‘out of your comfort zone’ project that you ever recorded or mixed? death metal? avant garde noise-techno jazz? Classical? And how did you approach it / what did it teach you? • Are you completely self taught or did you go to any recording university?